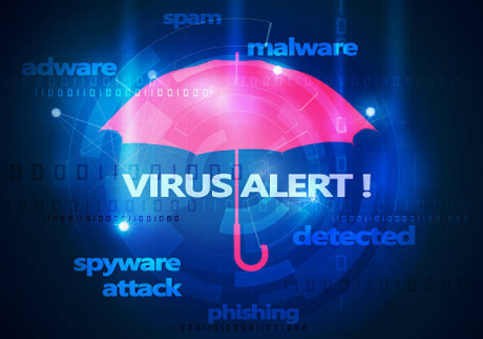 Antivirus softwares are programs developed and defined to secure your system from malicious threats like computer worms, viruses, Trojan horses, keyloggers and any suspicious files and threats that are capable of ruining the system's health. The purpose and reason for malware attacks varies, from deleting files to accessing personal and sensitive data, or even to use your computer to impose an attack on other computers. A security software is hence a vital tool to hack the hackers away. A regular antivirus scan online should be done to maintain good PC health. Comodo Internet Security is a definite tool to protect your PC with an effective and advanced security suite . It ensures regular antivirus scans online — to scan, identify and remove malware threats instantly. Security Experts at Comodo have designed and developed a security suite that boasts antivirus, firewall, auto sandboxing, Default-Deny Protection, Containment technology and HIPS (Host Intrusion Prevention System) to meet the security demands of its users. It delivers the best virus removal methods for instant virus protection solutions. When it encounters an unknown file, CIS checks the codes to verify if it matches the whitelist, and only if the validation of the application is found secure and appropriate, the application is allowed to be executed. When unknown and suspicious files enter your system, they are instantly moved into the sandbox space for further analysis. The antivirus scan online and Web Firewall work hand in hand to prevent malware or any other malicious suspects at the entry point itself. This prevents the malware absolutely from accessing the system. The Firewall settings can be altered as per your needs . Comodo Internet Security also allows you to take control over pop-ups and notices. Any unknown or zero-day threats are identified instantly with the cloud-based Behavior Analysis.